An exceptionally fresh, cool and pure nose features notes of pungent earth, underbrush and dark currant where there is a touch of menthol present. The supporting tannins are relatively fine on the voluminous, concentrated and mineral-inflected flavors that possess good mid-palate density, all wrapped in a complex finish that again displays only a hint of rusticity. This is worth considering. 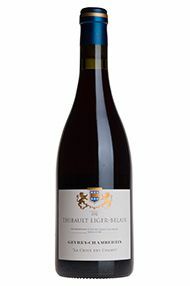 Thibault Liger-Belair, who is the cousin of Louis-Michel Liger-Belair (see above), told me that 2012 "was a very challenging vintage from a viticultural perspective. The flowering passed poorly and the growing season itself presented numerous difficulties including notable levels of disease pressure. I began picking on the 24th of September and while the fruit was generally very clean some parcels required more sorting than others. Yields were terrible and depending on the sector we were down from 50 to 70%. By contrast there was good ripeness levels and potential alcohols varied between 12 and 13.5%. I did a bit more punching down than I usually do though it was still a relatively soft vinification. In the same vein I used about 10% more whole clusters in those wines in which I choose to use them. Interestingly the yeasts were lazy in 2012 as it required from 20 to 22 grams of sugar per liter of wine to make one degree of alcohol. [The mandated amount by law is 16.83 grams for reds.] 2012 reminds me of 2008 in this regard as the yeasts were lazy then too. I fermented a bit warmer than usual too but I am happy with the results as the mouth feel of the wines remains quite fine. Because of the small yields I used a bit more new wood though not so much that it marks the wines. The malos took a long time to finish and in some cases they only just finished." My take on the Liger-Belair 2012s is that they are in-line to slightly better than the vintage as a whole. The Wine Advocate - The 2012 Gevrey-Chambertin Village La Croix des Champs is from a 0.20-hectare plot of vines planted in 1964 located on the plain as you arrive in the village, on clay silt soils with flint deposits. This blend includes 50% whole cluster. 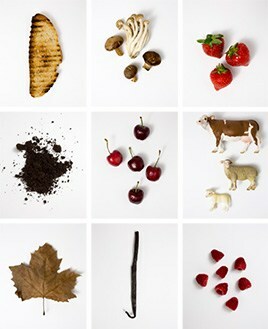 It has a perfumed incense-infused bouquet with touches of wild heather joining the dark cherry and blueberry fruit. The palate is medium-bodied with a black coffee-tinged opening. The tannins feel supple in the mouth while the acidity adds bite on the finish. Very fine. Burghound - An exceptionally fresh, cool and pure nose features notes of pungent earth, underbrush and dark currant where there is a touch of menthol present. The supporting tannins are relatively fine on the voluminous, concentrated and mineral-inflected flavors that possess good mid-palate density, all wrapped in a complex finish that again displays only a hint of rusticity. This is worth considering. 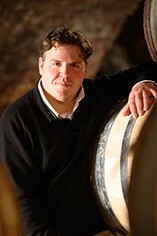 Thibault Liger-Belair is cousin to Vicomte Liger Belair of Vosne Romanée. In 2001 he took over an old family property in Nuits St Georges, taking back the vines which had been contracted out to various share croppers, and leased a cuverie just down the road. The family jewels (his branch) consist of Richebourg, Clos de Vougeot and Nuits St Georges Les St Georges, to which he has added further vineyards and a few additional cuvées made from purchased grapes. The vines are now certified organic and farmed biodynamically, with horses used to plough the vineyards where possible. The grapes are rigorously sorted on a table de tri, then destalked and fermented without much punching down or pumping over. They will be racked once during the elevage, but Thibault is not afraid of reductive flavours at this stage which, he feels, adds to the eventual substance and complexity of the wine. The oak regime is not to exceed 50% new barrels but also not to use any barrels more than three years old. The natural style of Thibault’s wines is plump and full-bodied, though the benefits of his farming methods seem to be bringing a more mineral aspect to the fruit as well. The natural style of Thibault’s wines is plump and full-bodied, though the benefits of his farming methods seem to be bringing a more mineral aspect to the fruit as well.